On Cost Of Living, the Rhode Island band reminds us that intellectual punk music is alive and well. There is a tendency, by some, to lump all punk music together. It’s nothing more than loud and sloppy four-chord noise, they might say. But that’s dangerously reductive, especially since punk’s never ever been just about the music, and there’s so much riding on the words — you know, the typically uncomplicated phrases that, when shouted over chunky riffs, become something more like protest chants. 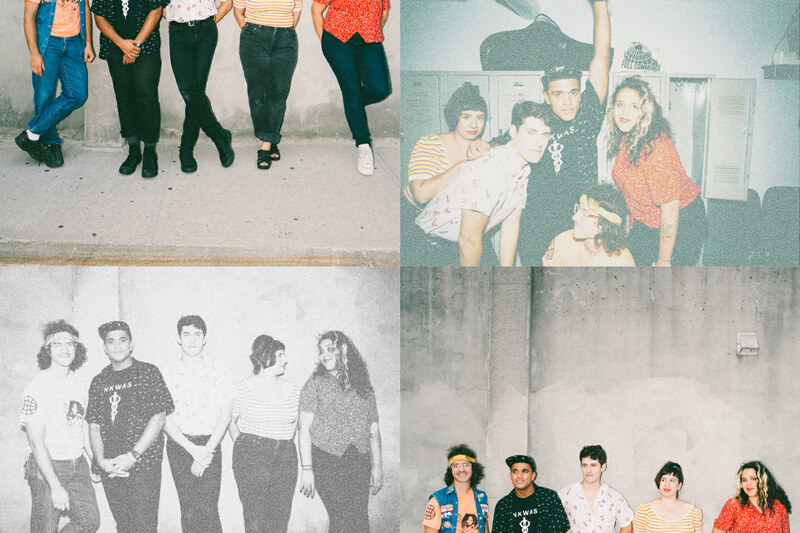 Downtown Boys — a bilingual, five-person collective with a fondness for heavy guitar work, brass instruments, and yelling — have helped continue that tradition. The Rhode Island band makes music for world-weary, empathetic humans trying to survive the age of Trump. Their mission is old school, but their anti-oppressor mentality feels extremely contemporary. These songs sound exactly like right now. Two years ago, Downtown Boys put out their second full-length, Full Communism, on New Jersey DIY label Don Giovanni Records. Their confrontational, patriarchy-bashing third LP, called Cost Of Living, comes out on Sub Pop August 11. 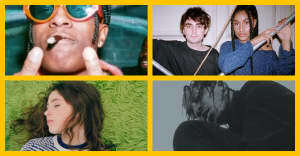 Sub Pop isn’t a major label, but it’s a famous one, and signing with an established institution feels unexpected for a radical group like Downtown Boys. It’s a move that suggests the group is at least somewhat concerned with visibility, and that they want to spread their empowering messages. These are songs that work hard to show just how high the stakes really are — and that change in the system could be accomplished by amplifying marginalized voices. The seed of the original punk movement was about social frustration, inclusivity, and doing it your damn self. The fact that Downtown Boys are working with a not-exactly-DIY label doesn’t really seem to matter so much. What matters is that one of the coolest punk bands in recent memory is releasing an incredible whirlwind of a record that’s informed by the past, but also very much of the moment. Cost Of Living is a testament to our need for Downtown Boys's spirit, and to the possibility of compassion in the quest for equality. Hopefully that spirit will reach more ears than ever. Cost Of Living is out now. Order it here.